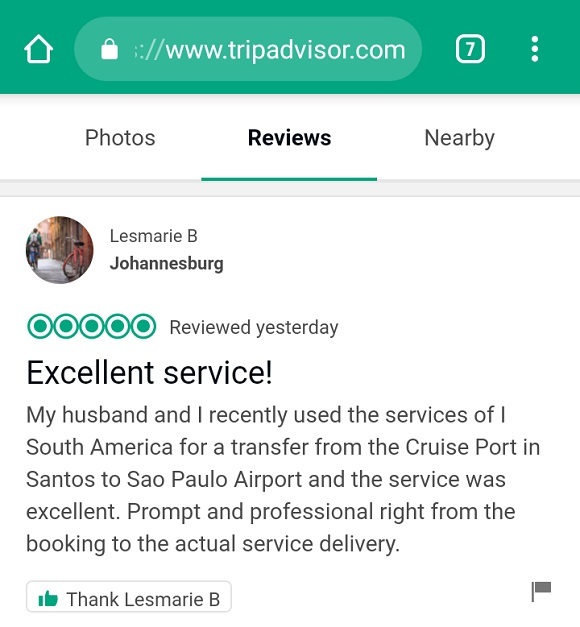 (By ISOUTHAMERICA Staff) - Many thanks to our customers for choosing our company for their Transfer service at Santos Cruise Port Terminal, Brazil. Magnificent review on TripAdvisor!. We continue to work hard to meet our customers needs in South America.